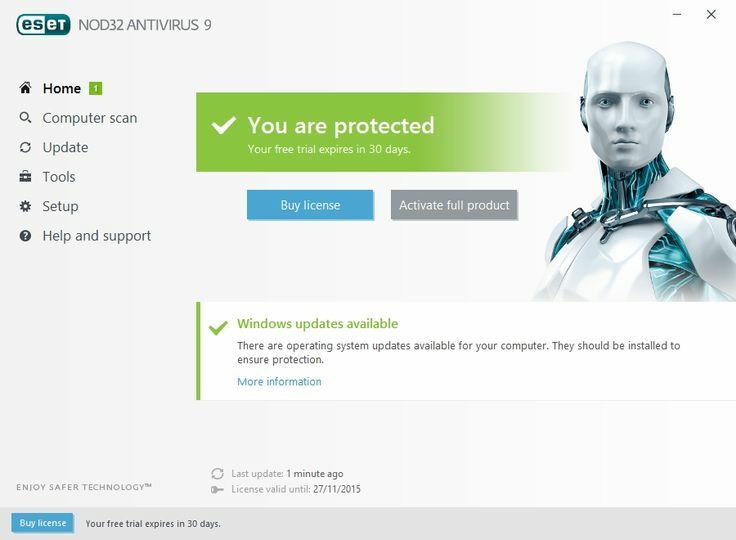 ESET NOD32 Antivirus protects you against viruses, worms, trojans, spyware, adware, phishing, and hackers. With it's ThreatSense® Technology it reacts quickly to new threats by analyzing code execution for malicious intent. NOD32 is also system friendly. It consumes an average 23MB in memory and performs very fast.